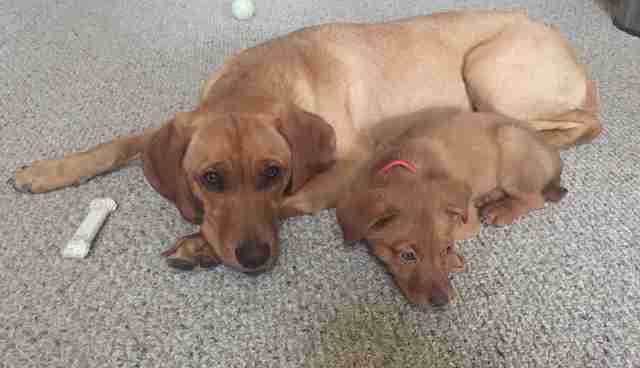 Josie the puppy was born in a shelter and transferred to Wisconsin's Fetch WI Rescue with her siblings almost immediately. Her start to life could have been shaky, but she was quickly saved and given the life she deserved. Josie was fostered by Hannah Kimyon and her partner, Jimmy, who adopted her very shortly after. "Jimmy and I were lucky to get her right away, so we were directly involved with how she was acclimated to household living and got to shape her life as she knows it," Kimyon told The Dodo. "Her core personality has always been wonderful. 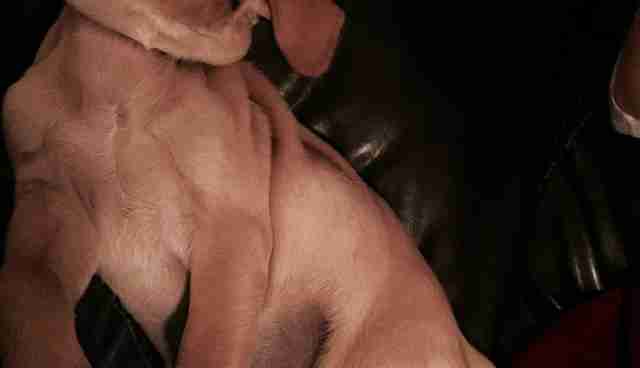 She has always been one of the most mellow, laid-back and hard-to-offend dogs I've ever met." 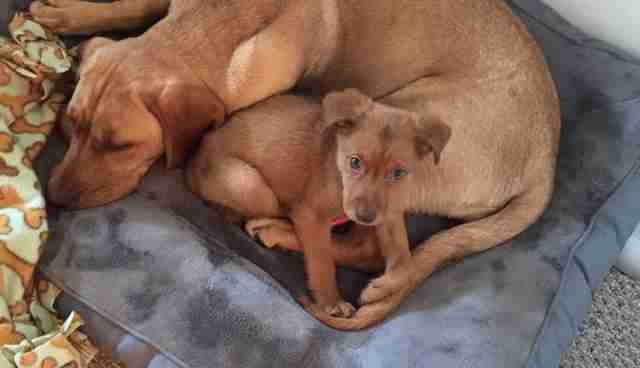 After adopting Josie, the couple decided to continue fostering puppies, making Josie a big foster sister. 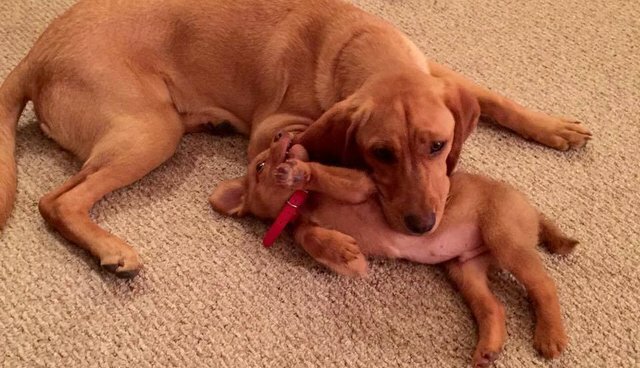 After being rescued and given all the love she could ever want, Josie was more than willing to give back - and ended up being the best big foster sister ever. She takes the role very seriously. In terms of her style as a foster sister, Josie is more of the cool best friend than the bossy protector. "She isn't protective of the puppies at all actually. She is just plain buddies with them," Kimyon said. "She loves playing with them, and the truth is, they seem to be drawn to her." Josie has met three fosters so far, and has been wonderful with them all. 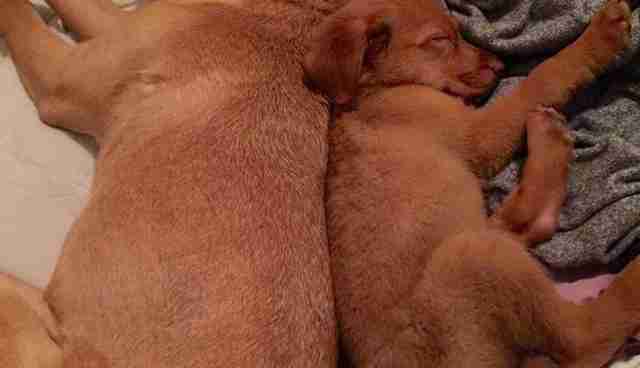 Her latest puppy, a little fellow named Trump, is essentially her mini-me, and absolutely adores her. "She is also a role model for them and has helped us with house training and crate training," Kimyon said. Josie has more than embraced her new role, and her new parents couldn't be prouder. "She loves all people, dogs and critters and thinks they all want to be her best friend. 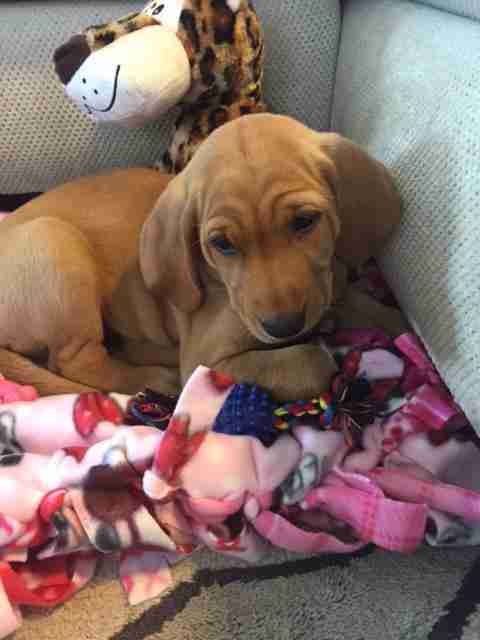 We honestly hit the puppy jackpot with Josie," Kimyon said.